This was Master Du at his best. An extremely witty, vastly respected Yunnanese speaking party cadres who had been, throughout my fieldwork in South-West China, an omnipresent figure of extrajudicial dispute resolution. Once he had finished, the old man allegedly responsible of defaulting on his financial commitment towards a joint co-op project gave a contrived nod and promised he would pay his dues. In turn, the opposing party, who only a minute before was vehemently rejecting any possibility of reconciliation, promised he would not press charges. That day I was asked by Master Du to keep him company as he went through a long day of “mediation” (tiaojie gongzuo). His duty “making sure that people here live harmoniously with one another and have respect for the Law”. Out of five cases he sat through only that day, he successfully persuaded parties to reach an agreement four times. “I have a 90% success rate” he usually boasted to other mediators “and I do more than one thousand cases per year”. “Do they ever go to court?” I asked him one day, out of curiosity – “To court?” he replied, baffled “Why would they? The court doesn’t care about what happens next, they are simply after establishing compensation. The way I see it is that the law has to be a tool, whereas virtue needs to stay at the core (deti fayong). What is requested of us is that we usher people back into harmony (wei qunzhong kaiqi hexiezhimen) and that we preserve good relationships”. 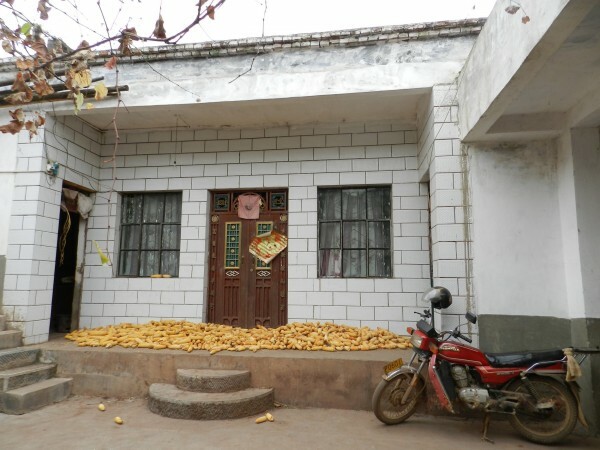 Here you have one Chinese fiction many mediators I met in rural Yunnan currently live by, the unexamined and unprovable assumption that plaintiffs always entertain a relationship that they would be better-off preserving, even in the face of plaintiffs asserting the contrary. In such fiction, keeping good relationships is what any civilised (wenming), law abiding, harmony-craving Chinese citizen would recognise as her own moral responsibility. That this was one foregrounding fiction of local dispute resolution was not simply down to Master Du’s style of mediation. Chinese mediation prescribes that mediators ought to guarantee basic moral values and social stability (shehui wending) (see Huang 2015: 15) . What the Chinese mediators I met practically did was to fill the purposely under-defined category of social stability with their own ethical sensibility for and expectations of what a stable social order would look like (one with good relationships among kin and villagers). My contribution to this thematic week on living fiction will slightly depart from what has been previously discussed by other contributors to address the question of how such living fictions may be vehicles of larger projects of governance. In what follows I will argue two points. First, that the current Chinese government has been rethinking the principles underpinning the country’s legal system to pursue a reframing of the relationship between state officials and their services-demanding public. This is a shift from justice as a service applicants can simply have access to, to a moral gauge they need to be schooled in. For reasons that will become clear in a moment, I term such reframing “pedagogical legalism”. In contemporary China, people experience pedagogical legalism through everyday encounters with street-level bureaucrats. Pedagogical legalism works by allowing the latter to present as unproblematic and self-evident certain aspects of the law, in particular those mediating the relationship between the state and its citizenry or among citizens. As they rhetorically “naturalise” certain rights or obligations to applicants, Chinese state officials also produce particular narratives – or fictions – that make a normative set of relations and behaviours irrefutable. This implies that performing and behaving in accordance with these fictions is ethical and civilised, while not doing so, or worse ignoring that one should, is backward and uncouth. The only problem is that it is never quite clear what counts as correct behaviour–nor is its definition open to public scrutiny. My second point here is about the unlikely theoretical contiguity of Chinese pedagogical legalism and recent strands of legal anthropology. Legal anthropologists, both in China and the West, have been fascinated by modes of inquiry into the study of government and policies that have a lot in common with Master Du et al.’s understanding of how the law is supposed to work in their own country. 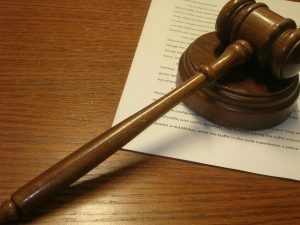 That is, legal anthropologists have been interested in studying situations in which legal techniques of governance get overshadowed by questions of ethics and moral conduct that are in turn assumed to explain (and thereby provide a fix to) social conflict. My opinion is that while theoretically ground-breaking on several levels, these concerns for evaluating the political usefulness and undergirding ethics of legal fictions are ultimately unfortunate as they effectively deaden our sensibility towards the complexity of social conflict. To avoid belabouring this point, let me start with a brief genealogy of pedagogical legalism in China. I begin by making a very long story short (if you are interested read Philip Huang’s riveting Chinese Civil Justice: Past and Present). Since the 90s, China has been undergoing a process of legal reform aimed at expanding legal services to its population and addressing widespread public and private corruption. Specifically with Xi Jinping’s administration, the intent of the reform has been two-pronged: to clamp down on the many cases of gross official malpractices and blatant illegality that had been gathering media attention; and make the legal system more accessible to the country’s citizens. In the context of China, a widespread post-colonial narrative of cultural and moral deficiency of the Chinese character has come to identify the countryside and its inhabitants (as opposed to the civilised urbanites) as the country’s subgroup most in need of legal tuition. This narrative is epitomised by the mantra of “sending the law to the countryside” (songfa xiaxiang), the idea of bringing the law to the rural populace via the establishment of popular tribunals and legal training sessions for its country-bred officials (e.g. Balme 2009). The hope is to raise standards of accountability for lawbreakers and, more prosaically, to inject the countryside with a dose of civic concern. The political steps taken by Xi’s administration in this direction, however, depart consistently from the course taken during the 90s. Then, the idea had been that a procedurallystrong legal system would have addressed widespread official and private misconduct (Brandtstädter 2013: 333). In the last decades the emphasis has shifted away from legal adjudication and towards non-adversarial solutions to social conflicts. In this respect, the Chinese State has begun to resuscitate the “dispute resolution services” that were popular under Maoism (Minzner 2011). Theoretical grounding for this legal move has arguably been provided by some of China’s most prominent legal scholars (Zhu 2000; Zhao 2011). In recent years these scholars have argued that Chinese culture is already endowed with indigenous legal resources (bentu ziyuan) that could work as effective antidote to the present state of widespread illegality. If Chinese society shows very low levels of compliance with the law, this has to do with the fact that its citizens have lost contact with the traditional precepts of Chinese customs (xiguanfa) and their emphasis on social obligations and social harmony. The Chinese legal anthropologists Zhao Xudong has written extensively about this. He describes customs as a source of control and compliance that is ordinarily tapped by Chinese citizens, especially by those living in the countryside (2003, 2011). 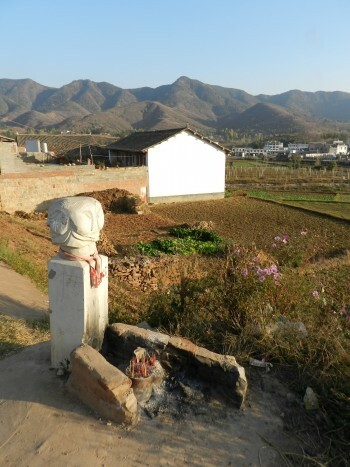 He calls such sources “folk” or “village rules” (xianggui minyue). One characteristic of these rules is their do-ut-des morality, or morality of reciprocity (lishang wanglai) and conservative ideology (shehui hexie wei mubiao). According to Zhao, Chinese rural villages, alongside the people who grew up in them, are largely governed via this set of informal rules, the preservation of which village residents are assumed to have a stake in. The corruption of Chinese society is in the beholder’s eye: what might appear as backwardness and corruption to a proponent of the legal reform are, in fact, “reasonable” or even “ethical” ways of accommodating conflicts at the grassroots level. 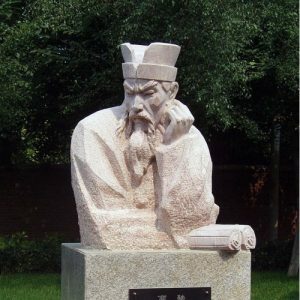 Now, the argument that Chinese legal scholars make in relation to the country’s legal reform is a simple one: a focus on human contexts where formalised techniques of order and control get entangled with ethical considerations and moral values may be used to produce fixes to current political problems. It may help fix the perception of unruliness and impunity in the general public, by showing that ordinary Chinese people do care about social order and fairness. It may also make state laws more responsive to the need of Chinese citizens, by incorporating such grassroots values into the legal services the state provides to its citizenry. Chinese customs needs to be discursively embedded as fictions into the country legal system (legalism) so that this informal normative order made of traditional precepts may become the default criteria of “good” Chinese citizenship (pedagogy). A definition that is unfortunately not open to outside contestation. I contend here that this particular move advanced by Chinese scholars and taken up by Xi’s administration has indeed been in the last years an object of election for western legal anthropologists. Here I will pause only briefly on the work of Annelise Riles and Andrea Ballestero, who have recently produced quite original and challenging ethnographies of law and legal technicalities (Riles 2010, 2011 and Ballestero 2015). Both these authors have explored the ways in which anthropological attention towards legal techniques of governance, including fictions (credit swap regulations in Japan; the implementation of the human rights to water in Costa Rica) may uncover the unexpected human, ethical and potentially hopeful orientation of technical processes of governance. They are doing so in a political climate spurred by recent disillusionment towards neoliberal laws and regulation. The fallouts of the 2008 Financial Crisis and the attempted privatization of state water provisions in South America have in fact being met with forms of interclass mobilization and resistance which asked for viable and fairer alternatives, but also for exemplary punishment and scapegoating. New laws and institutions have to be sent “to the bureaucrats”. In such a climate, Riles and Ballestero are mindful of the dangers of throwing the baby out with the bathwater. By focusing on local agents (as I did with Master Du) such as backdoor legal office workers in the Japanese Central Bank and on state regulators working on the price of water in Costa Rica, Riles and Ballestero have been able to show, in a similar vein of Zhu and Zhao, that what might seem as corruption and moral bankruptcy to opponents of neoliberal regimes of governance are in fact complex material and symbolic processes mediated by legal techniques that appear reasonable and even ethical to their users. Legal techniques, here the examples are the legal fictions of the “credit swaps” (Riles 2011:24) or a “right” formula for the price of water (Ballestero 2015: 268) mediates and are in turn mediated by the “mundane practices” and “ethical positions” of those who work with them (Riles 2011: 246). That is to say that such fictions are constituted by “ethical” sets of relations (Ballestero 2015: 275) that, by obviating the need for time-consuming political negotiation (Riles 2010: 9), are assumed instrumental to achieve social order. Riles and Ballestero argue for an interpretation of socio-legal relations that dovetails on three counts with Zhu and Zhao’s understanding of Chinese law. First, both set of authors describe ethnographic contexts in which legal techniques are seen as harbouring a potential for greater equilibrium, harmony and stability in social relations. Second, they describe ordinary legal professionals and participants to processes of governance as in possession of “resources” to solve complex societal issues. Third, they seem to be persuaded that more than through wider forms of collective bargain or political mobilisation, it is by discovering the potential ethical agency of fictions that positive transformations into processes of governance can be whisked into existence. In so doing, these authors make the case for a fixing of legal regimes of circulation and allocation of wealth and resources that is also a fixing of our perception of how these seemingly unfair processes unfold in time. This is a legal pedagogy that sees a transformative potential for concrete ethical alternatives to morally bankrupt regimes of governance hiding in legal details. Insofar as they are constructed in relations to human agency and concerns, legal fictions can even be made better by relying on those “indigenous resources” available to people like Master Du who work out legally mediated systems of relations every day. Whereas the above Chinese anthropologists may be said to work against the moral disaggregation of the traditional Chinese society, Riles and Ballestero may be seen as working against the moral disaggregation of the so called “market commons”. I don’t believe that such a reading is necessarily wrong – ethnographic evidence does give credence to both Zhu/Zhao and Riles/Ballestero’s approach. What I am wary of is what such an approach may end up sidelining. If you are asking yourselves what gets sidelined by all the above, these are the positions of those who don’t have a class interest in thinking and working with legal instruments. Think of this. During my ethnographic work in the Yunnanese countryside I have recorded many, often fraught, encounters between street-level bureaucrats and ordinary citizens (e.g. Pia forthcoming). In these occurrences the bone of contention is always the management of some common good such as land, water or public infrastructures. Villagers usually complain that state agents are making decisions on common goods without consulting them. In turn, bureaucrats complain that villagers are too greedy and oblivious to how the legal system works. For instance, when one day swaths of cropped land were flooded by the breaching of a faulty irrigation canal, villagers staged a mass protests against the local government and its lack of supervision. The local bureaucracy, Master Du included, was genuinely taken aback by this, and commented that according to regulations the upkeep of the canal was villagers’ sole responsibility. If this simple fact of law didn’t go down very well with them, and if the law is ultimately a repository of moral values, then it would only mean that villagers were intentionally acting as immoral hooligans (liumang) who wanted to pressure the government for unwarranted compensation. Here’s Chinese pedagogical legalism retrofitted to exculpate local state officials. The injunction to acquaint oneself with the moral values of the Chinese “legal system” is at the same time an instrument for the moral diminution of unruly mobs (pedagogy) as well as an argument for the legal repackaging of liability in support of a new cohort of unaccountable state officials (legalism). A similar reframing goes on when pedagogical legalism becomes a way of doing legal anthropology. Be they Occupy Wall Street activists, water-as-a-common campaigners or Chinese protesters, pedagogical legalism is a theoretical position and policy provision that represent critics as mere ignorant, people who need to be schooled in how the system, its inner morality and its legal fictions, work. Moreover, pedagogical legalism seems to prioritize the ethical concerns, sensibilities and fictions of those who work on regulations and laws viz-a-viz those who don’t. Chinese and Western scholars are increasingly concerned about how top-down projects of law-making, the designing of its complex technicalities, could be made more robust and watertight from the point of view of its critics (i.e. Chinese society has no concern for legality, Big Banks are parasitic, water services in south America may be transformed into running for profit) while at the same time made efficacious from the point of view of their effects. Their attention has thus shifted towards the ethical considerations and agency of the ordinary actors of the legal sectors. The main take-away here is that law is presumably better understood if one looks at how insiders deal and complement fictions. My contention here is that such narrowing of focus on “getting the fiction right” might end up neglecting important questions about political participation and may lead to adopting an overly optimistic view of what the law can really do to effectively address inequality on the ground. 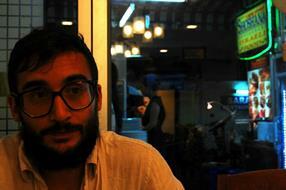 Ballestero, Andrea. 2015. The Ethics of a Formula: Calculating a financial-humanitarian price of water. American Ethnologist 42(2): 262-278. Balme, Stéphanie. 2009. Local Courts in Western China: The Quest for Independence and Dignity. In Judicial Independence in China. Lessons for Global Rule of Law Promotion, ed. Randall Peerenboom, 154-179. New York: Cambridge University Press. Brandtstädter, Susan. 2013. 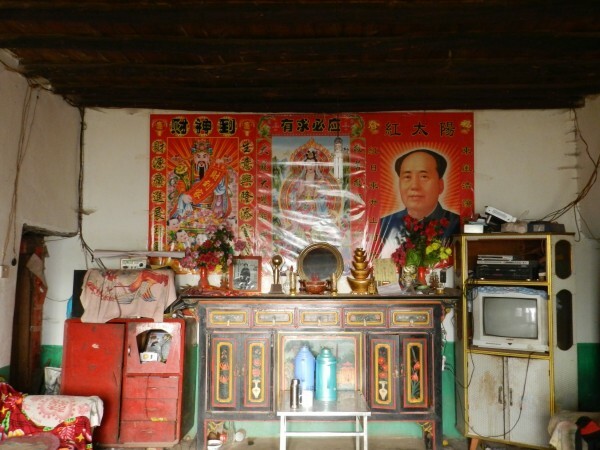 Counterpolitics of Liberation in Contemporary China: Corruption, Law, and Popular Religion. Ethnos 78(3): 328-351. Huang, Philip. 2010. Chinese Civil Justice: Past and Present, Plymouth, UK: Rowman & Littlefield. — 2015. Morality and Law in China, Past and Present. Modern China 4(1): 3-39. Minzner, Carl. 2011. China’s Turn Against the Law. The American Journal of Comparative Law 59: 935-984. Pia, Andrea. [forthcoming]. ‘We Follow Reason not the Law’. Disavowing the Law in Rural China. PoLar: Journal of Political and Legal Anthropology 39(1). Riles, Annelise, 2010. Is the Law Hopeful?. Cornell Law Faculty Working Papers. Paper 68. — 2011. Collateral Knowledge. Legal Reasoning in the Global Financial Market. Chicago University Press: Chicago, USA. Zhao, Xudong. 2003. Quanli yu Gongzheng: Xiangtu Shehui de Jiufen Jiejue yu Quanwei Duoyuan[Power and Fairness: Dispute Resolution and Normative Pluralism in China’s Rural Society]. Tianjin Guji Chubanshe: Tianjin. — 2011. Falü yu Wenhua: Falü Renleixue Yanjiu yu Zhongguo Jingyan [Law and Culture: Legal Anthropology and its Experience in China]. Beijing: Peking University Press. Zhu, Suli 2000. Song Fa Xiaxiang: Zhongguo Jiceng Sifazhidu Yanjiu [Sending Law to the Countryside: Research on China’s Basic-Level Judicial System]. Beijing : Zhongguo Zhengfa Daxue Chubanshe. This entry was posted in Anthropology, International, Law. Bookmark the permalink.